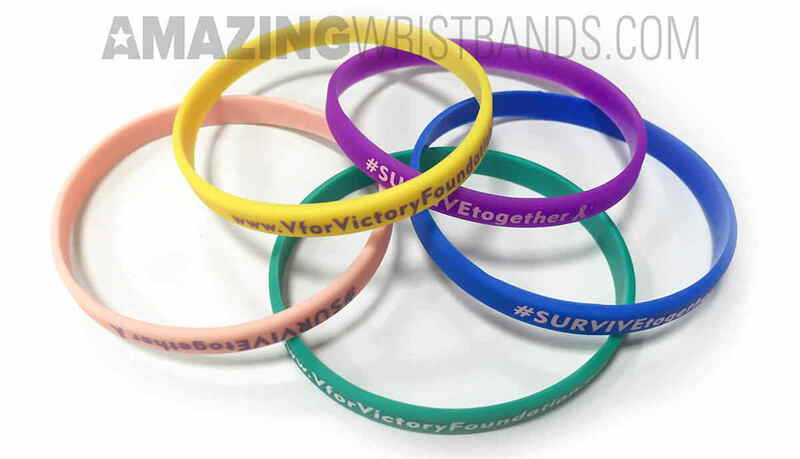 1/4" thin wristbands are a popular bracelet choice at half the width of standard size silicone wristbands. The thinner look is sleek and fashionable, and leaves plenty of room for your custom message or logo. 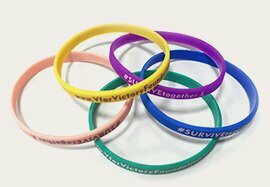 1/4" thin wristbands are also available in debossed, embossed, ink-filled, colorized embossed and screen printed styles for your convenience. Best of all, you can get your custom made narrow bands with your personalized message and artwork. AmazingWristbands.com is a leading provider of silicone bracelets online, offering competitive prices, high-quality products, and customer service that can't be beaten. Your complete satisfaction is our top priority!